Parents, don't fret. Finding a good preschool for your child is not as hard as you might think it might be. Your secret weapon is being prepared. It must be clear to you what do you want your child to gain from the preschool experience. Speaking of preparedness, below are some tips on how to pick the right preschool for your needs and preferences. Again, it is vital that the choice of preschool fit into your daily life. Should it be near your home so someone can pick your child up minus the 20-minute travel? Should it be near your workplace so you can drop him off in the morning before you go to the office? Should the preschool of your choice offer morning and afternoon childcare services? Your answers to these questions will help in narrowing down your choices of location and type of preschool. If you have two to three options, comparing which is which will be easier to manage. In identifying priorities, always factor in convenience aside from the curriculum and approach of the preschool, of course. Write down everything to serve as your reference when evaluating various settings. Like any other industries, the preschool has its own jargons. You need to make sense of the terms you will encounter along the way by learning what they mean. Do this because this helps in helping you select the most appropriate preschool. Montessori method – The approach focuses on maintaining a child's individuality throughout the learning process. It means the preschool advocates child learning at their own pace for highly individualized educational progress. Waldorf approach – The approach, while it emphasizes student participation, focuses on creative learning. Preschools with this approach offer more opportunities for exploring the world through the senses. Reggio Emilia approach – This approach focuses on two main learning methods such as creative thinking and exploration. Preschools emphasize providing opportunities for enhancing a child's problem-solving skills. Other terms that you will surely hear or read are child-centered, teacher-led, child-led and faith-based. Child-centered preschools are flexible regarding choosing activities for the students. There may be prescheduled topics, but the teachers are not very keen on implementing them within the classroom if the students would want to explore nature, for instance. 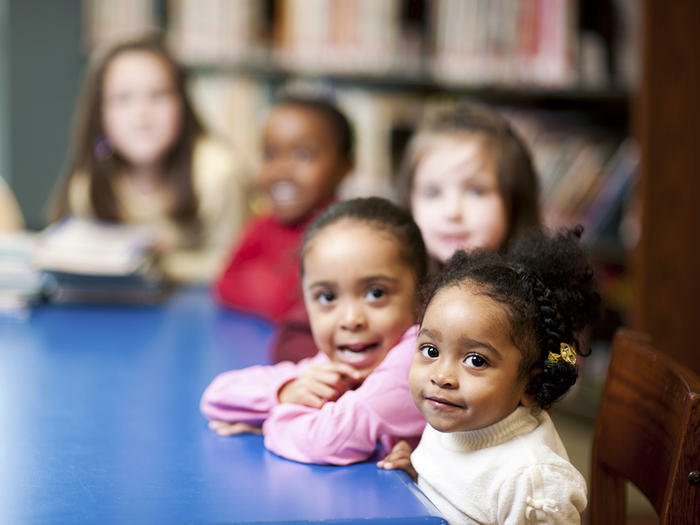 Teacher-led preschools are the opposite of child-centered preschools. Activities are based on the curriculum including the supplemental activities. Teachers often prepare set schedules for their students hence developing a more structured learning environment. Child-led preschools foster individualized learning experiences. The students are encouraged to initiate or ask for new activities. Through this, they will learn best due to high levels of engagement and interest. Faith-based preschools are for those who are looking for Christian or Catholic preschools in their area. Teachings and consequently learning experiences are according to the preschools' faith philosophies. Finally, don't confuse daycare with preschool. A daycare makes sure that the basic needs of the child are met – from food to toileting. A preschool, on the other hand, focuses on teaching the child new skills in preparation for kindergarten. Tech-savvy parents' first stop is the Internet when researching for preschools for their child. That's good. You can read testimonials and reviews from other parents who have actual experiences of the preschools on your shortlist. Positive word-of-mouth is also an influential endorsement. Stay away from those schools with complaints. The nice thing about this is you can check if the preschool you are targeting is licensed or not beforehand. A stamp of approval from education authorities is one sign that you are dealing with a school that provides quality education. It would be helpful to couple your online research with an actual dialogue with other parents. So reach out to other parents whose kids attended the same preschool you are considering for your child. Be mindful of the insights and ask them questions. The third step is to visit the school to see for yourself. You may call the preschool in advance to ask about some details, but you won't get a sense of what the school is like without going there by yourself. If you'd feel more comfortable with taking a checklist and taking notes, do so. Obtain copies of the curriculum, daily schedules, and nutrition plans if there are any. Through this, it would be easier to compare the preschools afterward. You can always return for a second visit, and this time take your child with you. This is one way of knowing whether your child will be comfortable with the preschool's environment in the coming days. Observe how your child reacts to what he is seeing or people he interacts with. Make sure that your child feels secure with the teachers too since they'll be spending hours with them day in and day out. Choosing the preschool can be an overwhelming activity for the parents. It pays to start the search as early as possible because you want to ensure that your child will enjoy her days in a fun and nurturing environment. But always trust your gut feeling. It is a matter of personal decision, but if, after the visit, you feel like your child would love to go there, then that is the right preschool for him.